Step to the Music was written by Phyllis A. Whitney. 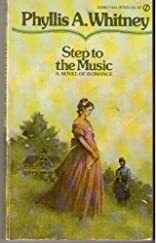 Step to the Music was published by Signet. Subjects of Step to the Music include Fiction / General, and Fiction / Romance / General.